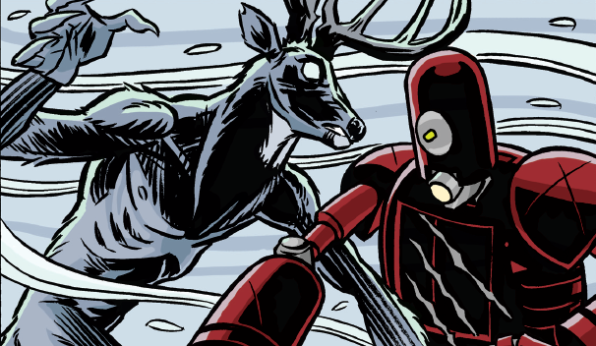 From Glass Eye Comix comes a tale inspired by Larry Fessenden’s indie horror film “Wendigo” that is suitable for readers of all ages. This 29-page full color comic book was written by James Felix McKenney and drawn, inked and colored by Braham Revel (Guerillas, X-men). 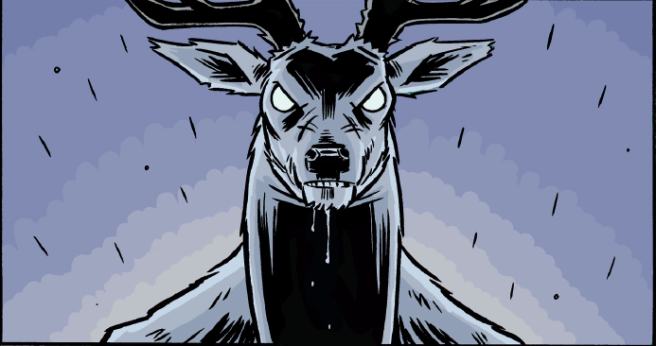 From Glass Eye Comix comes a tale inspired by Larry Fessenden’s indie horror film “Wendigo” that is suitable for readers of all ages. This 28-page full-color comic was written by James Felix McKenney and drawn, inked and colored by Braham Revel (Guerillas, X-men). 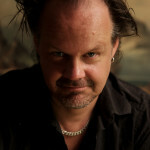 LARRY FESSENDEN (Writer, Creator) – Winner of the 1997 Someone to Watch Spirit Award and nominee for the 2010 Piaget Spirit Award for producing, is the writer, director and editor of the award-winning art-horror trilogy HABIT (Nominated for two Spirit Awards), WENDIGO, and NO TELLING, as well as THE LAST WINTER (Nominated for a 2007 Gotham Award for best ensemble cast). Fessenden directed SKIN AND BONES for NBC TV’s horror anthology FEAR ITSELF. Fessenden was awarded the 2007 Sitges Film Festival Maria Award for his work as a producer, actor and director in genre film, and he won the 2009 Golden Hammer Award for “being such an inspiring force in the industry.” In 2011, Fessenden was inducted into the “Fangoria Hall of Fame” and was honored by the UK’s Total Film as an Icon of Horror during the FrightFest Film Festival. CLICK HERE to visit Larry’s site. JAMES FELIX MCKENNEY (Writer) – Was born in Connecticut and raised in Maine. He spent much of the 1990’s working in Boston underground theatre with the House of Borax and Acme Theatr groups, as well as with their various offshoots, in many capacities: actor, stagehand, playwright, director and doorman. In 1995, he founded MonsterPants, then the publisher of underground comic books. Three issues of COW were published, for which McKenney was co-editor and publisher, contributing writer and occasional artist. Also from MonsterPants Comics was a special edition of PSYCHONAUT by Serbian artist, Aleksandar Zograf. McKenney lived in Los Angeles from 1996 – 2000 where he performed writing chores on numerous projects, including: comic books, music videos, internet magazines and motion pictures. After a number of feature film projects fell through at crucial points in their development, McKenney decided to take matters into his own hands and make his own movie, the tongue-in-cheek bloodfest: CANNIBALLISTIC! After returning to the East Coast, McKenney continued to work on independent films until he began his relationship with Larry Fessenden’s Glass Eye Pix in 2002. 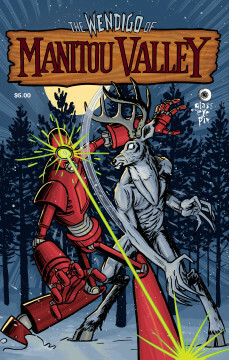 McKenney has been a collaborator on several Glass Eye projects, including THE LAST WINTER and THE WENDIGO animated series. He is the Associate Producer on the ScareFlix film series which includes director Ti West’s THE ROOST and TRIGGER MAN. 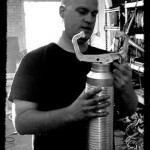 McKenney is responsible for writing and directing the first film in the line, the quirky supernatural drama THE OFF SEASON, as well as the retro-styled killer robot film AUTOMATONS. Both are currently available on DVD. 2010 brought the debut of McKenney’s satire of Christian “scare” films, SATAN HATES YOU, which is now available on DVD and won Best Feature at the Coney Island Film Festival. In 2012, James hosted the weekly internet radio show “The MonsterPants Are On!” on Cult Radio-A-Go-Go. That year also saw the release of the creature feature HYPOTHERMIA starring Michael Rooker (Guardians fo the Galaxy, The Walking Dead), which McKenney wrote and directed for Glass Eye Pix and Dark Sky Films. McKenney currently lives in New York with his longtime girlfriend Lisa where he hosts the Before Geeks Were Cool podcast and makes handmade toys assisted by his cats Oscar & Oliver and dogs Chumley, Nacho, Sanchez & Doomsday. CLICK HERE to visit James’ site. 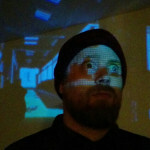 BRAHM REVEL (Artist) – Has spent the first half of his life in San Francisco and the second half in New York City. As a result, he has no idea what a moderately priced apartment is. In that time he’s worked extensively in the film and animation industries, most notably sharing storyboarding duties for a time on The Venture Bros. In recent years he’s turned his attention squarely to comics, writing and drawing the Marvel Knights: X-Men mini-series for Marvel Comics. He’s probably best known (hopefully) for his creator owned series, GUERILLAS, from Oni Press, and he promises that “the new volumes are almost done and will be well worth the wait!” Currently, Brahm is en residence at La Maison des Auteurs in Angouleme, France, eating baguettes and reminding everyone that his middle name is Jacques. CLICK HERE to visit Brahm’s site.